Ravi was deeply emotional and in a reflective stage by now. He was a few drinks down and I could sense the anguish in his voice as he spoke. Ravi: Oh my dear…, I did this to myself !! Me: Don’t go there Ravi. You will get nothing brooding over this. Let us stay on the situation and learn what actually happened? Does that work for you? Gathering his composure a bit, Ravi sat straight to take forward our conversation. Me: So what is your reflection? Ravi: I guess to start with I got it all wrong. My global CEO probably did not share my vision…. Ravi: Oh, ok. I guess I shared my global CEO’s vision and had my own vision for India aligned to his. I think he agreed with my vision and purpose. What I realize is that, he did not approve the way I executed it? Me: Ok, what about the execution of it he did not approve of? Ravi: You know what, my intention was good. I had nothing against anyone, especially the old timers. I just wanted to get the job done and make all of us successful. I still believe I had a compelling vision for India and we were on the right track. If I had 3 more years, I would have turned this place around. What I guess, I did wrong was I did not rally enough support for my vision. I thrust it on people around me. I should have been patient & worked with my MC to co-create the vision as a shared vision and not my vision. It might have worked better? Me: That sounds like something insightful Ravi. A shared vision and not just your vision!! You mentioned you were not against the old timers? In hindsight, did your actions match your intent? Ravi: I think I know where you are going? Since I was biased in my view of the old timers, I saw them more as road blocks than someone who could enable my vision. Probably Amitabh was right. He used to keep saying, turn a few old timers who have high credibility in the Org around and make them advocates of your vision. He felt that will enable what I was trying to do. I was impatient, a man in a hurry. I had set my own timelines for success. Me: Whose success Ravi, yours or the company’s? Ravi: This is getting painful now as I hear your questions…., let me drive through this though! I think my success. My global CEO had not set out the pace for change; I was the one who was anxious to make the change happen faster than what people around me were ready for. I did not take people around me along and build a compelling case for change which included their interests. Me: Wow. , an interesting point you made Ravi – compelling case for change& others’ interests! Did you consider looking around and evaluating who around you in your MC & beyond could have been your partners in enabling your vision for the company? Ravi: I actually wrote most of them off. I recall Amitabh bringing me something like this on a piece of paper suggesting an approach to include a few old timers who he thought could be leveraged. He felt they were key stakeholders who could enable the vision & strategy. I did not heed to his view. Me: So you missed an opportunity to include the key stakeholders who would have enabled the change you wanted to bring about? You said earlier that you replaced many of them with your new hires. Did these new hires embrace your vision? Ravi: I think they did, but they were struggled to influence their teams well enough. In hindsight the old timers might have done a better job if only I had listened to Amitabh’s advice and been a bit more patient with myself & people around me. Me: Ravi, don’t be harsh upon yourself. I heard from you that you missed a few key aspects, but you did communicate your vision & need for change across the Org. You talked to people & reached out widely in the Organization. I heard you then when I was around, you were clearly very passionate about your vision. It could have been more effective if your MC also had done the same and you had more partners. Ravi: You know what Anand, I feel much lighter after this conversation. Over the last few years, I have been living in some kind of self-pity. This chat has helped me immensely. I have got an opportunity to look at this episode differently and I think there is terrific learning as I now move on from here. As a leader if I had a trusted advisor, I might have been better off. eh..oh.., ok,.. I know what you will say next.., I know I had Amitabh. I realize I made a mistake. I think he was trying to help me, I did not allow myself to be helped. I realize I was stupid. Readers – As I share this true story with you, here are some thoughts that I would want us to reflect upon. As a professional I have had the honor of working with many great people and have learnt so much from their experiences. They are senior leaders, high achievers, people with great vision, lots of passion and drive, they may appear to have their follies, but you know what they are human after all. The issue here is not if Ravi is a great leader, even if he failed in this one company he still is a great leader. He learnt his lesson and has moved on. 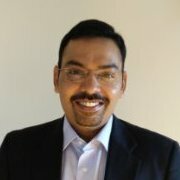 Today he leads India’s 3rd largest FMCG Company with revenue in excess of $ 1.5 b and is doing a fine job last 5 years. A big question that continues to plague me even today is “Change – Whose Job is it?” People often walk up to me and talk about what does not work in the company – issues, challenges, how things should be different, what processes are missing etc.? The only question I ask them – what are you doing about it? However, each one of us needs to stand up and be counted. We have to be the change we want to see around us.